As technology advances, so financial scammers have become ever-more sophisticated. Victims have typically been those approaching retirement age or already retired, with fraudsters often targeting the elderly and vulnerable for their life savings; however, as more people are investing online, scammers are changing the way in which they operate. It has been reported that online scams exceeded cold call scams for the first time last year, with many of the victims under the age of 25. The Financial Conduct Authority has called for more vigilance when signing up to online investment schemes, especially for high-risk products such as binary options, cryptocurrency and forex. These are often promoted through Facebook, Twitter and Instagram. The golden rule is only to deal with companies that are regulated. Regulated firms sell regulated investments; if a problem arises, the ombudsman is there to help, and the Financial Services Compensation Scheme is there to protect you should the company you are dealing with fail. Avoid cold callers. Nick Hewer, who fronts the FCA's ScamSmart campaign, advises that you should treat unsolicited offers of attractive investments with suspicion and simply put the phone down. Do not allow your adviser to pressurise you into deciding about an investment you do not completely understand. If they insist you make a decision within a certain time limit, don't be afraid to cut them off by putting the phone down or ending the conversation online. Do not be lured by promises of high returns; in fact, be wary. High returns come with high risks. A good adviser will assess your financial situation and offer something appropriate for you. Software for financial advisers from providers such as https://www.intelliflo.com/ not only helps advisers to find the right product for you but also help them to operate within strict financial regulations designed to protect your interests. Finally, before you transfer any money, check the FCA website to ensure the company is regulated. Check your proposed investment against the FCA's list of high-risk schemes you should be wary of - these could lose you a lot of money. 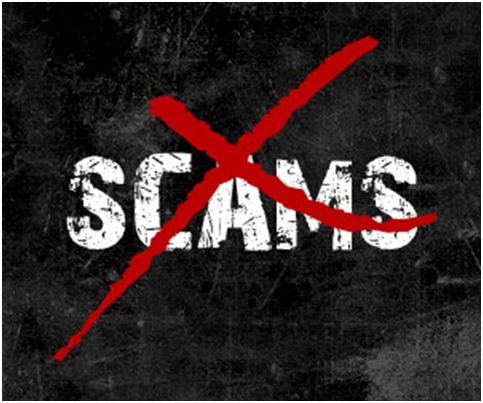 While it is unlikely that scams will ever be stopped, the steps we can take go a long way towards preventing many of them succeeding.